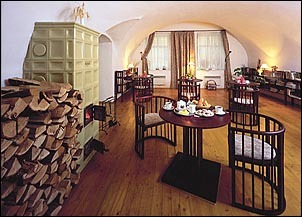 The House of Henry, a private hotel in a recently renovated historical building dating back to 1372. 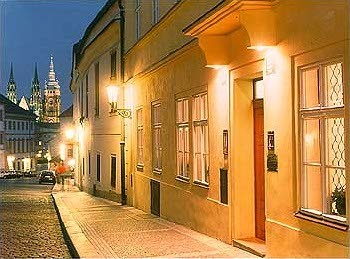 It is situated in the area of Prague called Hradcany, close to Prague Castle (Hrad) - once the seat of Czech kings. 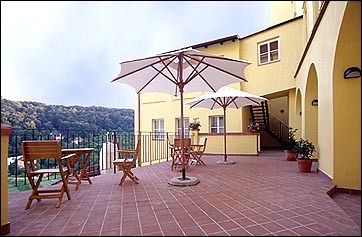 The hotel has eight rooms (seven double and one suite) with entrances from the south-facing terraces of the house. 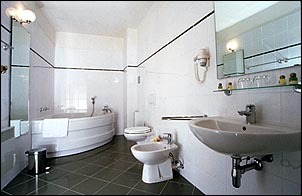 All rooms have a direct dial telephone (fax and e-mail are available at reception), television with satellite reception, minibar, safe deposit box, hi-fi minisystem ( with CD, cassette player and radio ), shower, hairdryer and WC. 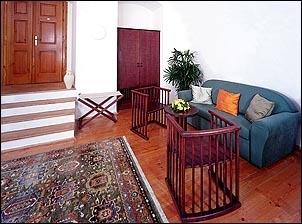 Half of the rooms (Deluxe rooms) are also equipped with a large corner bath, a desk ideal for business travellers, an internet connection point and fax which also incorporates copier and scanner. 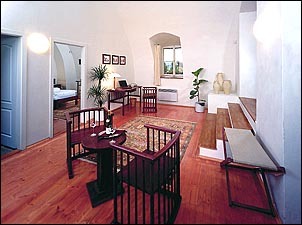 A breakfast buffet is served from 7:30am till 10:30am in a cosy room with a tiled period stove. Breakfast consists of juice, coffee, tea, milk, fresh bread rolls, cereals, yoghurt, butter, jam, cheese, ham, salami, patĂŠ, fruit. Coffee, soft drinks, wines, spirits, cocktails, omelettes, ice cream sundaes are available all day. The terraces and rooms enjoy a panoramic view of the whole city, providing guests with a peaceful atmosphere for both work and relaxation. 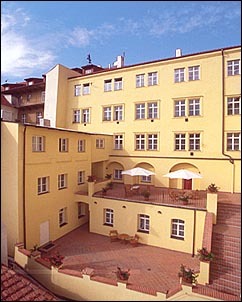 The historic city centre is within walking distance, or can be reached by tram. Reception will gladly reserve tickets, tours and arrange use of the nearby recreation and relaxation centre. Service is from 7a.m. to midnight. The hotel also has its own taxi with an English-speaking driver. We accept Visa, American Express and Master Card. 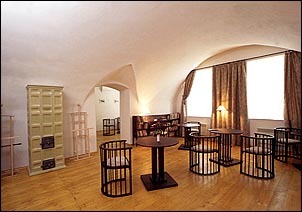 We look forward to seeing you at Domus Henrici and trust that you will have a wonderful and memorable time in Prague. 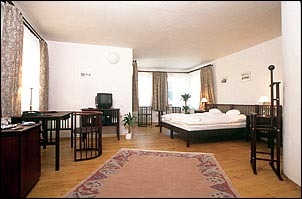 Prices include lavish breakfast and all taxes, internet, bathsalt and bathrobe (deluxe and suite).